It is a simple and highly functional table with a spacious top andtwo drawers to take care of all your storage needs. Furniture is square in shape and can easily be used as a bedroom bedside table, nightstand, or an accent end table in your living room. Two drawers design allows you to reduce clutter significantly. The lines of this end table are clean and uncluttered. This feature allows this table to be matched with any modern decor. 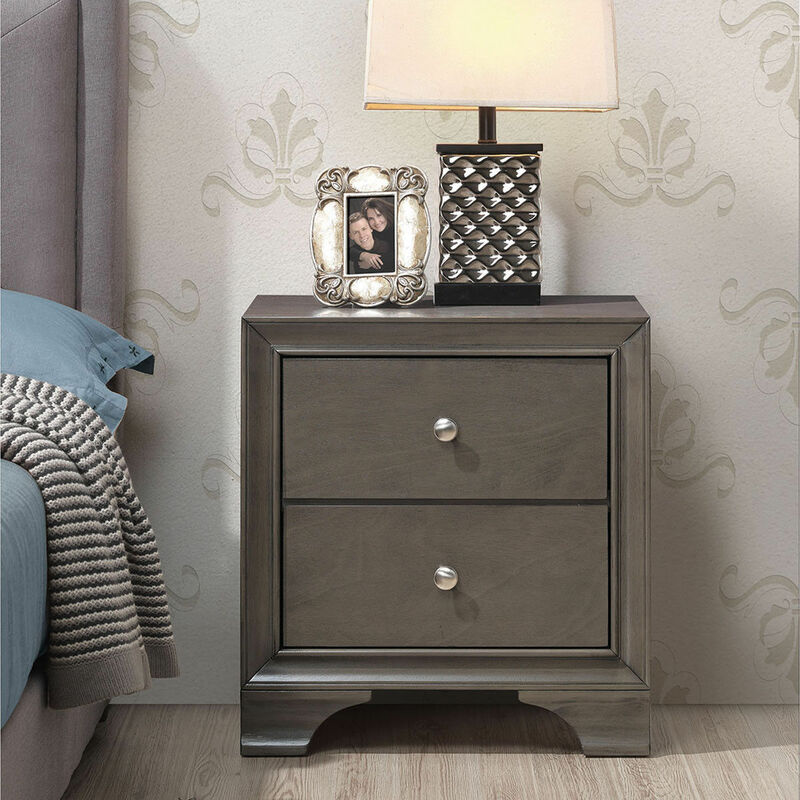 The table top is spacious enough to keep a lamp, a phone, picture frames or a home decoration. In addition, this nightstand equipped with security and practical USB charging dock, which solve the phone charging problem when you only have usb data cable.